Interesting dual-function device, ChargeLight works as a backup power supply for your phone, with a Li-Ion cell that offers enough juice to fully charge a dead phone once or twice, and if the lights have gone out you have a handy flashlight at the ready. Useful idea with a range of colour options. The electronic massage goggles — which look vaguely like the oversized goggles worn by comic book superheroes — are seeing a surge in popularity this year. Vendors claim the reason is eyes tired from too much computer and smartphone use. “We’ve been selling eye massagers for years with steady sales, but this year there has been a noticeable jump in demand, with sales up 30 percent (in the first half of the year from a year earlier),” says Sun Shao-qu, sales manager in Taiwan for OSIM International Ltd., which manufacturers massage chairs, eye massagers and other devices. They need neck massagers as well, which the company sells, as almost everywhere you go you see people (抵頭族）straining their neck to look down at their devices, few notice the world between their over-sized phablets or iPhones. I’m not crazy about this but I bet my son would be pretty happy to see this on my MacBook. Cute but I don’t think I could ever stick them on correctly. Whooz? vinyl identification labels let you personalize and jazz up your chargers and cords with these boys and girls. Each pack comes with four sheets of designs and each sheet has labels to cover your charger, usb cable and earbuds. There are also labels for the new lightning cords and earbuds. Now there’s an app for keeping your kids art work on the fridge…sort of. App Magnets look like app icons-certainly a far cry from those old school plain black magnets or ones that looks like strawberries. No download or 2 year contract required! In an age where more and more kids have access to their own mobile phone, smartphone or computer, there is a growing market for kids accessories for phones and computers alike. If your child has an iPhone, then chances are they will spend time listening to their favorite music and beats. What you need to realize here is that constant use of headphones are dangerous for adults and even more so for little kids. 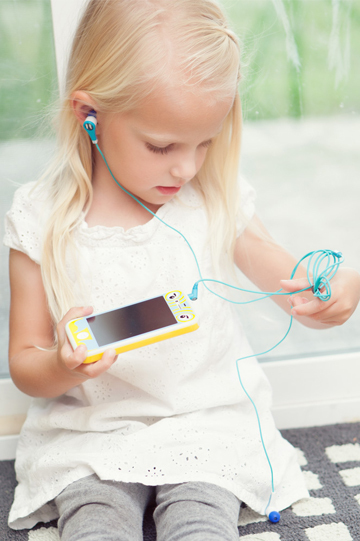 ZAGG offers the funkiest accessories to ensure that your child’s noise volume is safe even for their delicate ears. All kids love to play loud music and make noise, it’s all part of growing up. 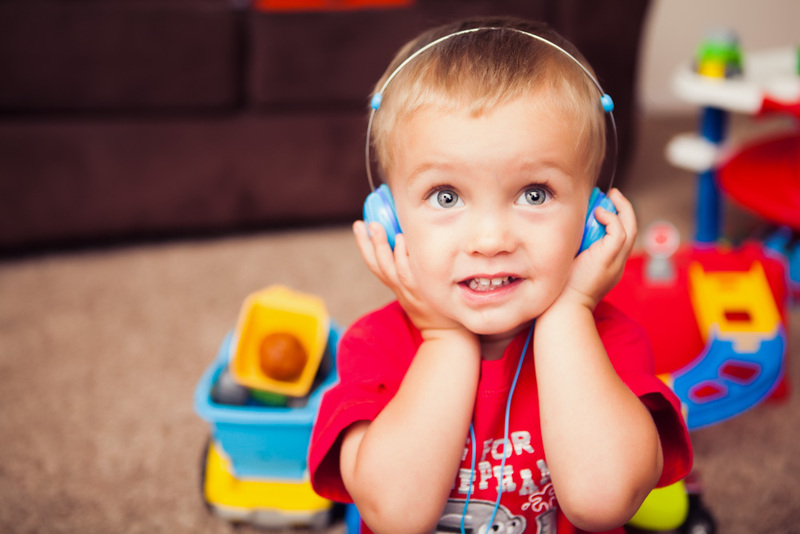 But when children have access to smartphone technology from an early age, it’s vital they don’t damage their hearing by constantly listening to their favorite songs at full blast. ZAGG offers volume limiting earbuds, volume limiting headphones and more to ensure your child enjoys their time with an iPhone without damaging their young ears. Young kids love anything bright and noisy so funky accessories from ZAGG, for the iPhone 4 and iPhone 5, make the perfect gift. ZAGG’s products don’t just personalize their experience, but they make headphones safe for kids to use without constant supervision. Kids will love bright phone cases and screen protectors to keep your phone safe from scratches, drops, maybe tantrum throws. 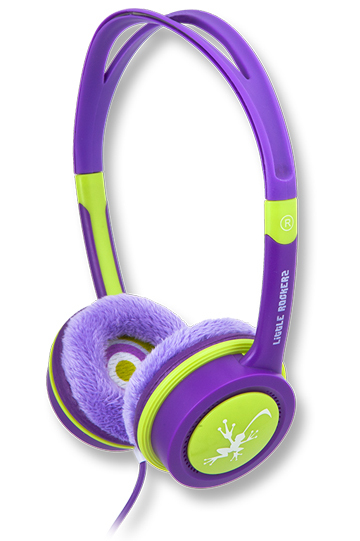 They will love to listen to their favorite music with bright-colored ladybug or frog headphones. When you have made the decision to purchase an iPhone for your child you should be prepared to kit it out with the best technologic up to date accessories specially designed with small hands in mind. Cover the iPhone with a screen protector and a funky, bright case, ensuring that scratches and accidents will not result in an expensive repair bill. 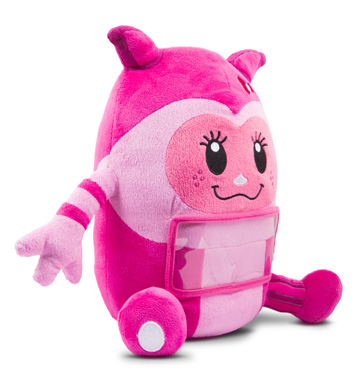 Choose from plush toy speakers and the very best in volume limiting earphone equipment from ZAGG.com to make sure that your child listens to their phone at the volume suited for delicate ears. When ordering online from ZAGG.com, your first order will include free delivery to Europe or the U.S., so take advantage of the offer by ordering a few different accessories for your child to swap and change. Most young girls love sparkly and bright accessories so choose a brightly colored drop resistant case she can decorate with her favorite colored stickers. Headphones shaped as ladybugs or frogs will be a huge hit with your kids and you can be assured that no matter how much time they spend listening, they will not damage their hearing. If you order all your kid-friendly accessories for the iPhone 4 and iPhone 5 online from ZAGG.com, you will be guaranteed not just the best prices but the best quality and service too. Volume limiting headphones are vital for your child’s hearing development so never let your kids play with your headphones unsupervised; instead simply log on to ZAGG and choose from the funkiest of headphones for your kids that will make every moment they spend with their iPhone safe and fun. The Crankerator lets you charge you iPod/iPhone/iPad on the go, when you’re far away from any outlets. Crank or plug into an outlet to replenish the battery. I’ve seen something similar before or at least something something similarly imagined. Very retro tech look and a conversation starter, this laser keyboard allows you to type using full-size keyboard projected onto any flat surface. Convenient for those times when a table is available (or a wall?). I don’t find myself carting around many chargers these days as most of my needs are met by a single device but if you do this portable charger will reduce the number of chargers you have to carry to just one. I’ve been eyeing small portable external battery solutions for those times when I’m using my phones camera a bit more than usual. The Roll-Up Travel Charger can charge up to four devices at a time, and is compatible with most phones and portable devices. I think everyone appreciates a reduction in cable clutter. Looks good. So, if you can refrain from drinking from that sweet, sweet fountain of 4G, this is actually a respectably long-lived phone. I always find how these drawbacks are discounted by many gadget enthusiasts rather curious and far from my ideal. Whats the point of having a mobile device if you are tethered to a power outlet? And what’s the point of having a device with all these features if you can’t use them? My last Nokia was in some ways far more feature rich than my current device; mobile web server, internet radio, IM, FM transmitter etc. etc., but when you start using these features you can visibly watch the power bar decrease in length. And then you try replacing the battery without breaking off the cheap plastic back. Spec lists are dead, what matters is not the acronyms, it’s the intangibles, the way you feel when using the device and it’s intuitive interaction. This is why I keep a tiny Panasonic mobile phone* for travel and emergencies, and why the iPhone’s camera app drives me to distraction. *A single use device, the Panasonic has no real software experience. It’s simply a brightly coloured dumb phone which is impossible to miss at the bottom of a backpack and the battery lasts a week. Perfect for pay-as-you-go plans that are prevalent in different countries in Asia. Wacom’s Inkling bridges the gap between traditional, freehand sketching and digital development by capturing a digital likeness of a pen-on-paper sketch. I’ve been waiting for a product like this for a long time. Many many possibilities. But there is a big caveat – it thus far seems you are limited to their ink refills and well … ink. I seldom use ink. Though reported for a mid November release it hasn’t yet appeared on Amazon. Hocoa’s beautiful mouse is made from renewable resources by craftsmen in Japan. I’m drawn to the this mouse far more than any of Apple’s offerings (especially the atrocious ‘Apple Mouse’). Compatible with any PC. The XD Design solar window charger, with big USB and small USB output, is easily attached to a window. The outside of the charger catches sunlight, while the smooth designed inside spices up your interior and charges your electronic equipment. Contains a 1400mAh rechargeable lithium battery and a mini usb cable. I’m trying to think of a use case for this attractive device but I’m coming up empty. I realize power outlets are often in short supply but aren’t free windowed sunny spaces also? I just wish they would make better batteries. A fun spycam sized digital toy. The Fuuvi Pick is a 2 megapixel colourful digital camera that shoots both still images and movies, and recharges directly through your computers usb port. The images are recorded to a MicroSD card (not included). A key chain would make this diminutive retro styled digital camera almost perfect. Alas, Windows only. Someone really needs to copy this clock’s face and make an app; I love the slight imperfections. There can never be enough clock apps. for the iPad or iPhone. … 1970’s perpetual calendar from Arlac Dati Germany. Lovely deep olive green colour with black plastic rollers. There are four black rollers to change the date. In good condition for it’s age, a few little surface scratches but nothing to spoil this gorgeous vintage piece.